What Ever Happened To Your Favorite Players? As you can see below, both rising stars and professional athletes are dying from heart disease each and everyday! This interactive infographic shows the fate of athletes who died, retired or was forced to have surgery as a result of their heart condition. It's really disheartening because a lot these professionals died early on affecting not just fans but their families. Let's not only remember the names on the back of a jerseys but also use their story to identify heart diesase in young athletes and prevent misdiagnosis from so many lives short.  Tweet us @myhealthimpact to let us know if any of the players on this shocked you!